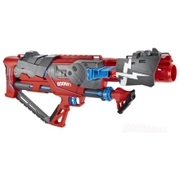 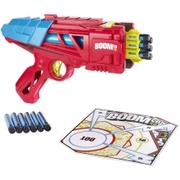 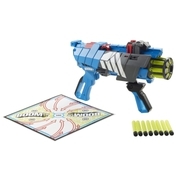 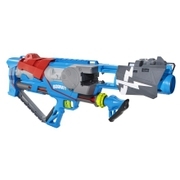 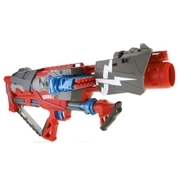 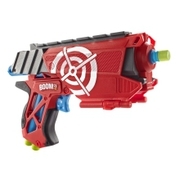 BOOMco.™ Twisted Spinner™ BlasterDart Toys & Blasters - Awesome Blasting Gear & Toys for Boys - BOOMco. 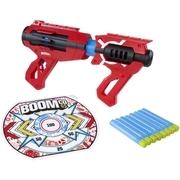 The tip of every dart sticks like crazy to all Smart Stick targets and shields. 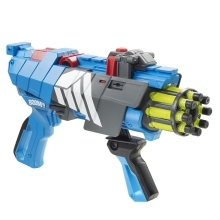 The Twisted Spinner features an awesome spinning barrel—when you pull back to slam fire, the fast-action barrel rotates to shoot! It also has push-button removable transforming shields with Smart Stick technology, so you can capture your opponent's darts and use them yourself. 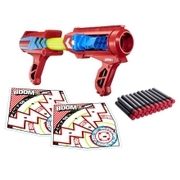 The Twisted Spinner shoots up to 70 feet for awesome firing distance! 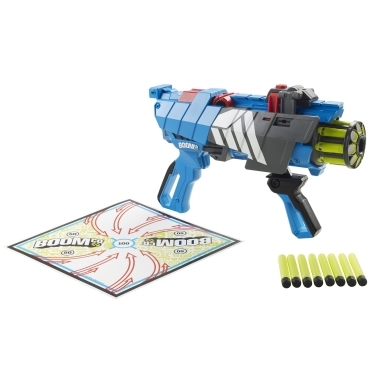 This Twisted Spinner Blaster comes with 8 Smart Stick darts, push-button transforming removable shields, and a Smart Stick target. 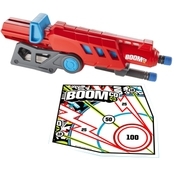 To create a more personalized blaster, pick up the Smart Stick Refills Printable Targets (sold separately) and create your own ultimate Smart Stick blaster shield and target designs! 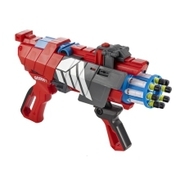 Ages 6 and older.